How to make a lapel pin? Home > News > How to make a lapel pin? All Lapel Pins are unique in the world, so we need to make new mold for each new design each time. The metal surface is rough, after polishing, the surface is smooth and shiny. This applies to copper material only. We have many different plated color for our clients to choose, such as gold, silver and so on. The quality of plating varies with the length of time the metal is soaked in the plating liquid. Soft enamel is carefully inserted by hand, one color at a time, using different sized syringes. * Drying. * To prevent defects, a high degree of skill is required in order to keep each color and the correct amount of enamel in the proper area. We have a strict quality requirement. We don`t allow any fingerprinting or scratch on the surface of pins. 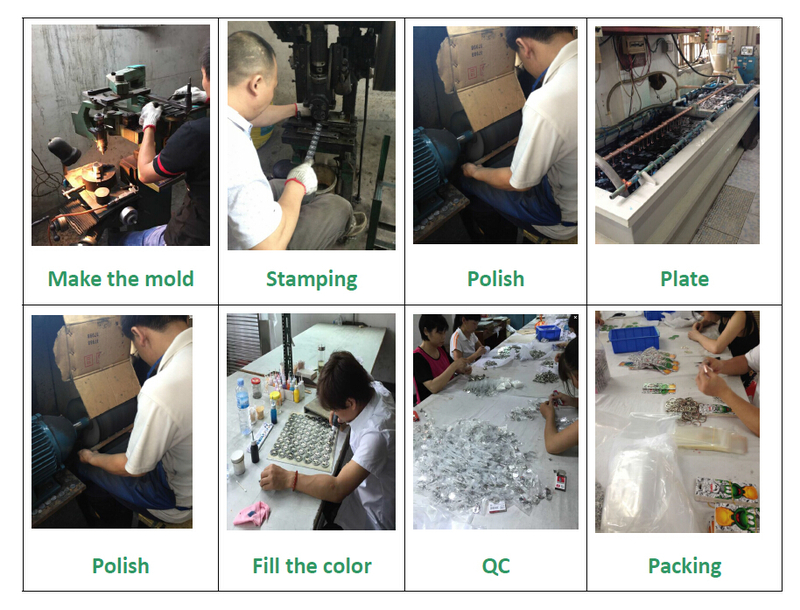 We provided various packing method for your reference.